The ComplyRight Indiana Labor Law poster provides worry-free compliance and peace of mind for every location of your business. 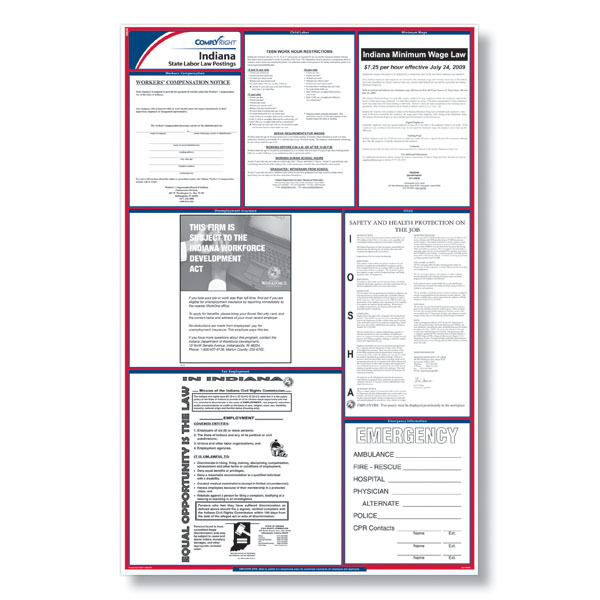 One laminated poster conveniently contains all required state laws to keep you and your business up to date. 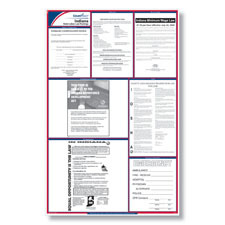 Enroll in our annual Poster Guard® Compliance Protection service to automatically receive federal, state and local posters EVERY time a mandatory change occurs at no additional cost! Is your state poster in compliance? Select the month and year you last purchased a poster. The Indiana Child Labor poster has been updated to reflect a correction to the break requirements for minors. A minor under the age of 18 who works 6 hours or more may take one or two breaks totaling 30 minutes. The Indiana Fair Employment poster has been updated to reflect a new protected category. Employers are now prohibited from discriminating against employees due to their veteran status. Poster size - 24" x 37"
In addition to your state poster(s), you may also receive small individual state posters. These postings will help you to comply with certain requirements that you have to meet according to your type of workers' compensation coverage, unemployment insurance and your state's smoking laws.